I can recall first seeing the original teaser trailer last May and wondering what sort of monstrous creation Abrams would treat us to this time around. The fact that legendary film director Steven Spielberg would be producing the film only helped solidify Super 8 as a "must follow" film. Below is the latest trailer for the J.J. Abrams' written and directed science fiction film, Super 8. Take a watch now if you haven't seen it yet, as I'll be subsequently discussing some of its elements. As documented by the articles published in the early days of this website, the Abrams' produced Cloverfield managed to capture my imagination in a big, bad way. This was partially due to my own passions as a consumer of film, owing largely to my boundless love for giant monsters, or kaiju as they are called in Japanese. Cloverfield promised to be the perfect blend of American story-telling and special effects without just being another soulless creature feature. For the most part, I thought that film was successful. I mention Cloverfield in reference to Super 8 only because of the initial similarities between the two properties. After the May teaser trailer for Super 8 hit, it seemed a foregone conclusion that another giant monster flick was coming our way. After the trailer above, I'm no longer so sure. Super 8 does not feel like a monster movie. All good monster movies of course have a strong human element at their core, but the focus here seems subtly different. 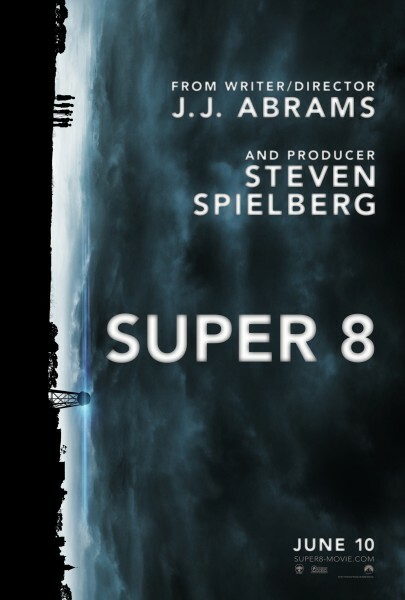 Rather, Super 8 appears to be a coming-of-age tale built around elements of the fantastic, not unlike Spielberg's ET. I have read the potentially SPOILER-filled article from Latino Review which may or may not detail the exact nature of the adversarial force in Super 8. Not to go into too much detail, but based on the atmosphere and the brief clips presented in the trailer, Latino Review's conclusions seem consistent with the tone of the film. Personally, regardless of the true nature of the "lost cargo," I suspect the film's true adversaries will be the military or adults in general. It seems like the kids in the film are being set up to have a life-affirming adventure and not simply running for their lives. The latest Super 8 trailer has revealed a film that is quite unlike the movie that I originally envisioned. I am partially saddened that I will not be getting another "pure" giant monster film from one of the greatest creative minds currently in Hollywood, but I am also glad to see Abrams' expanding his vision and delivering a different type of film that still includes elements of science fiction. Regardless of my expectations, Super 8 looks like it will deliver a solid summer blockbuster with a bit more substance than we're otherwise used to. Super 8 hits theaters on June 10, 2011. What are your thoughts on the Super 8 trailer? Leave a comment below!